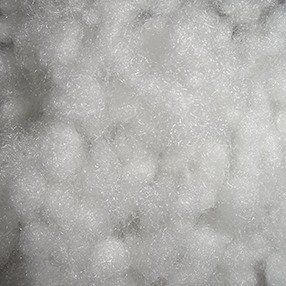 Siliconized pellets are used for padding furniture armrests and backs as well as for stuffing pillows. The thread length of siliconized pellets is 64 mm, they are twisted into balls, which has the ability to recover into their primary position after squeezing. Sold in bags of 20 - 25 kg.